Police in Wandsworth borough are appealing for assistance to trace a missing teenage boy from Tooting. 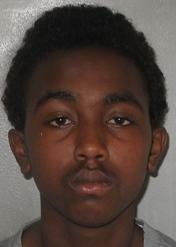 Mohammed Omar, 16, has been missing from his home in Tooting since midday on Sunday 13th January 2013. He is Somali, described as five foot seven inches tall with short black hair. He was last seen wearing a red jacket and camouflage trousers. Mohammed is known to frequent both north and south London as well the Basildon and Southend areas of Essex, Ipswich in Suffolk as well as areas of Kent and Nottingham. Officers are concerned for his safety and welfare. If he is seen or you know where he is please contact police 101 or call Wandsworth CID on 020 3276 2584. The charity Missing People can also be contacted on 116 000.